The fifth Swift Satire Festival will be held in Trim, County Meath from the 5th to the 8th of July. The festival brings together distinguished figures from the arts, politics, media and comedy to celebrate the life, works and legacy of Jonathan Swift. You can read more about what is planned at the festival’s website, including Satire Day Comedy Festival, Poetry in Motion, tours and much more! 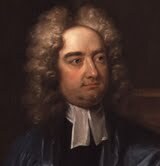 on what Jonathan Swift might have made of genealogy and discusses his own much talked about family history. 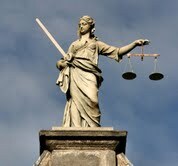 Read more about Jonathan Swift and genealogy. Both Carlow and Wexford are covered by a number of regional directories, with both counties included in Pigot’s and Slater’s Commercial Directory of Ireland, Leinster & Dublin sections. In addition, parts of counties Carlow and Wexford are included in Shearman’s Directory of Waterford, Kilkenny and the southeast, 1839. 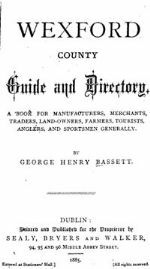 This contains a full list of city and borough officials for the places covered, as well as covering education, religion, public and private institutions, trades directory, alphabetical directory, as well as a lot of other useful information, such as a calendar of fairs, tides, postal services, etc. For County Wexford we have two very interesting titles: Bassett’s Wexford County Guide and Directory 1885 and Brian J. Cantwell’s Memorials of the Dead. Bassett’s Wexford records details (addresses and occupations) for over 11,000 people in the county. It includes an extended treatment for the borough of Wexford, and the towns of New Ross, Enniscorthy and Gorey. The book finishes with an index of places, a list of fairs and markets, and includes many commercial advertisements.Cantwell’s Memorials of the Dead is a fantastic source for County Wexford, as it includes all of the county’s gravestone inscriptions dating up to 1900.